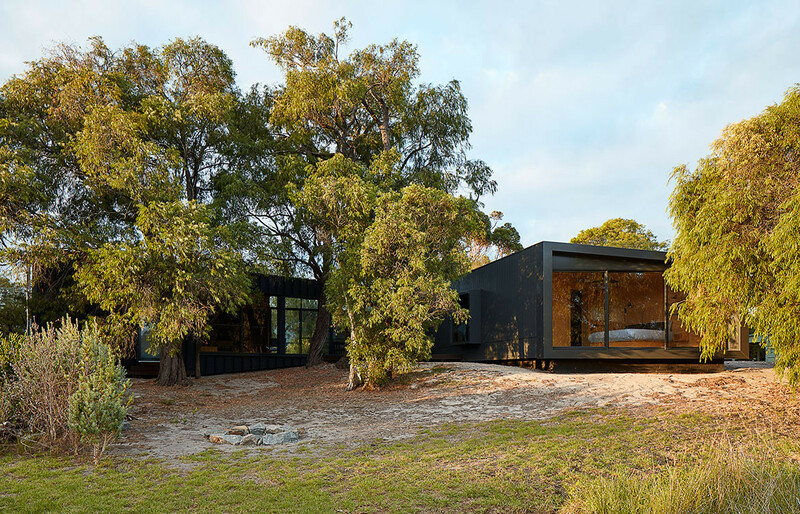 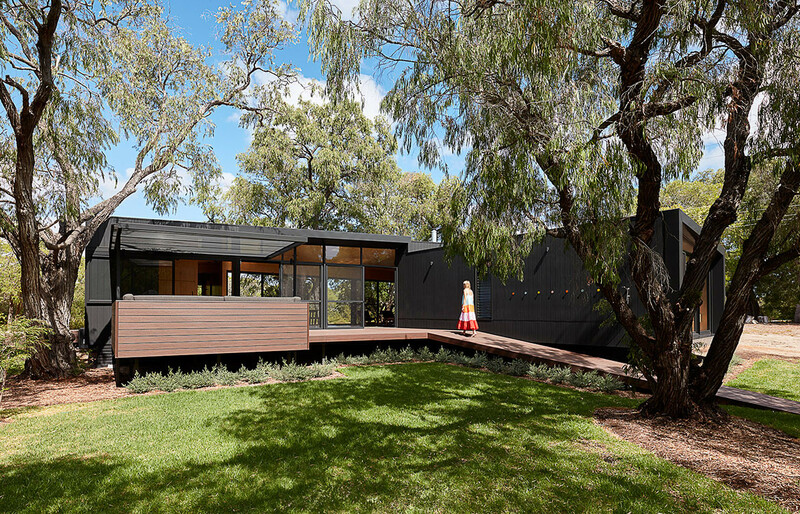 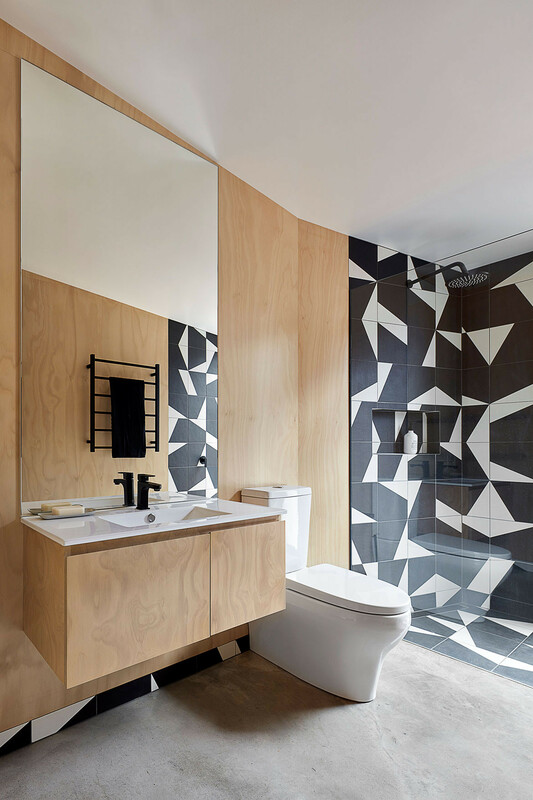 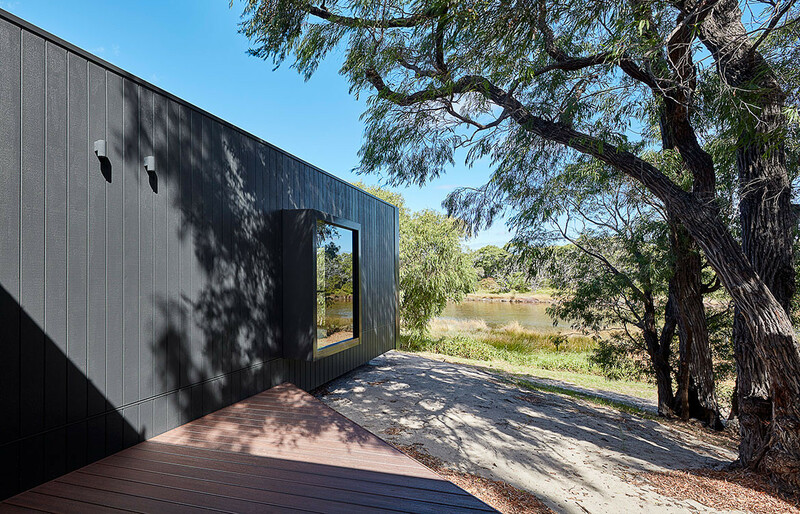 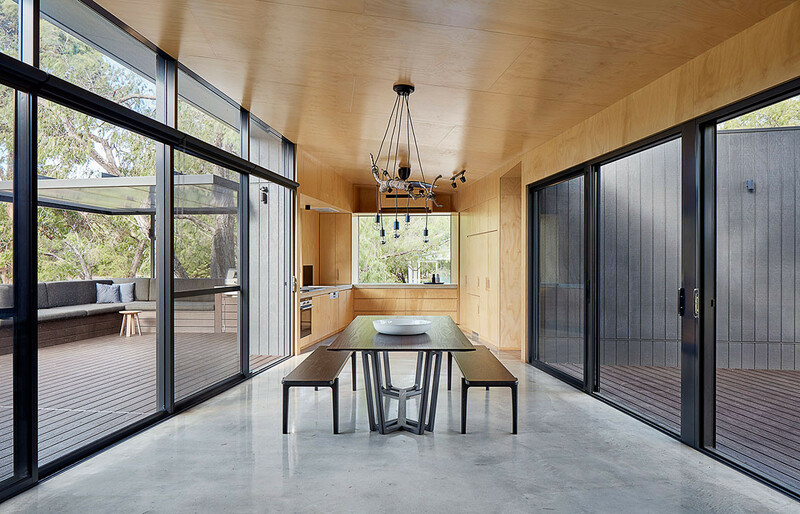 Technē Expands Into Furniture ..
Airbnb Head Designer Alex Schl..
Nestled between the Geographe Bay foreshore and Toby Inlet, this Z-shaped house – clad in dark grey steel and lined with plywood – was carefully placed on its site to blend in, rather than stand out. 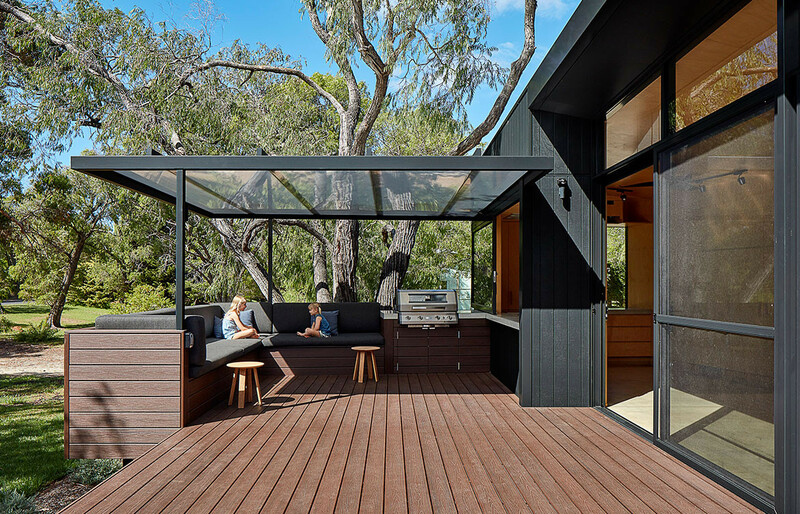 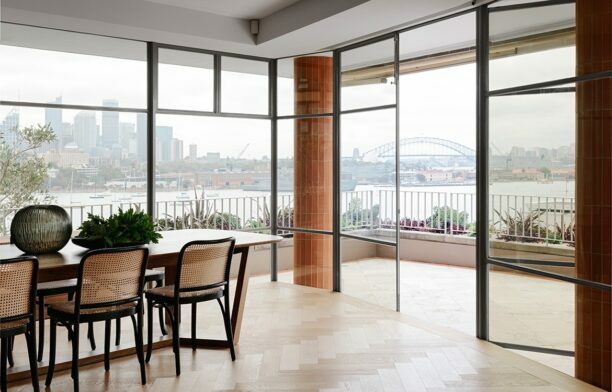 Large expanses of glazing and framed window seats combine with minimalist interiors and generous outdoor decks to create a welcoming haven among the 18 Peppermint trees that dot the site. 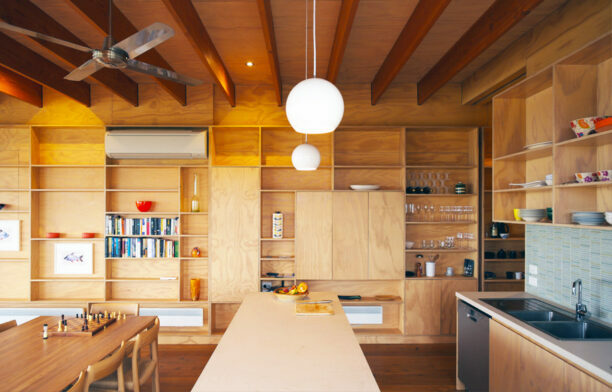 Preserving all but one of the existing trees was a key part of the brief, and it dictated the placement and unusual geometry of the house, which has no right angles in the plan. 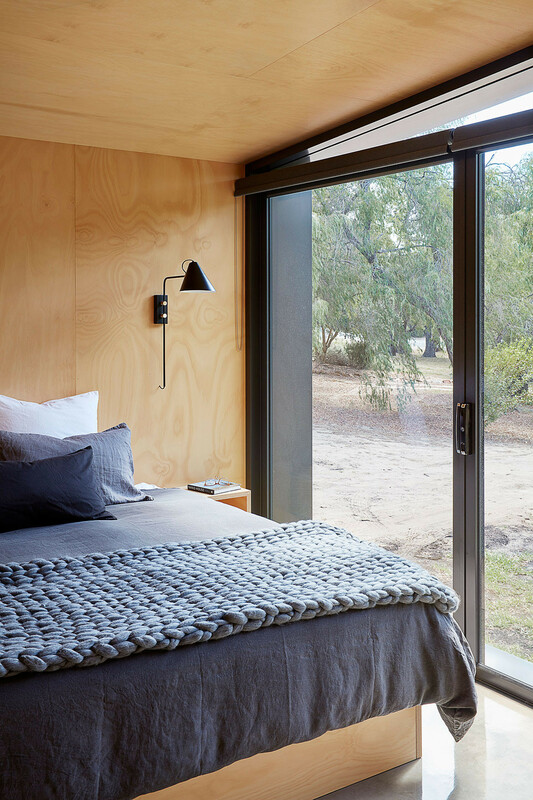 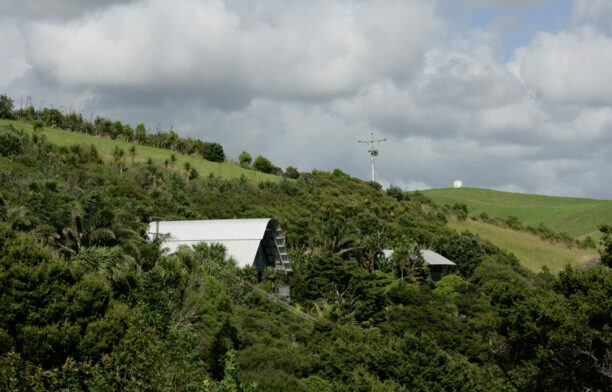 “I spent lot of time on site with the clients putting stakes in the ground with ropes, trying to work out how to keep the trees and work around them,” architect Meaghan White recalls. 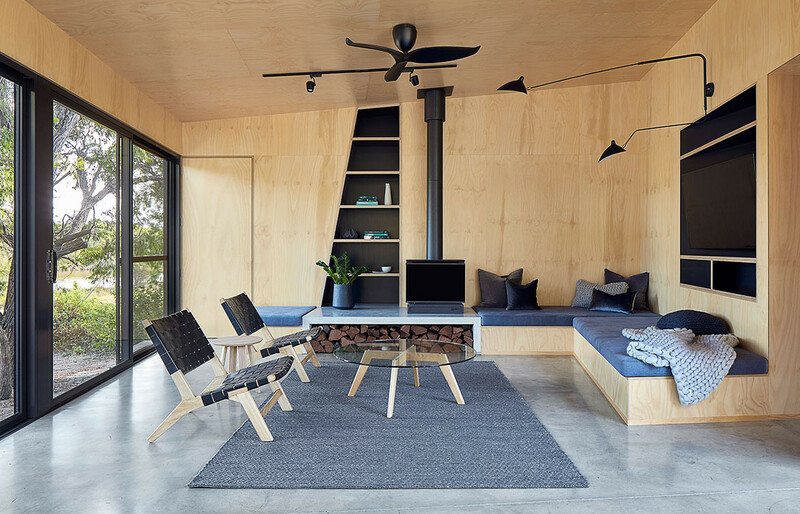 It was essential to work with a builder who could transform Meaghan’s vision into a reality within the budget, and research led her to Tectonics, the builder of the Karri Loop House for MORQ Architects at Margaret River, which also sits among established indigenous trees. 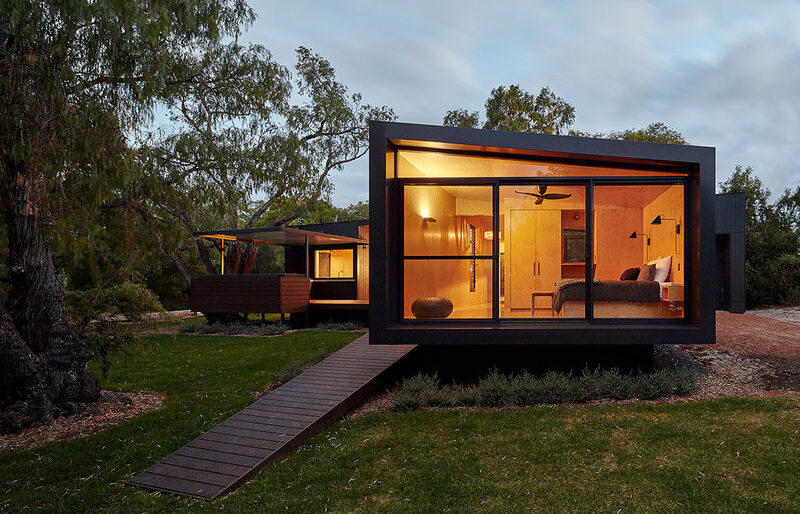 “I knew that I couldn’t be as hands on as I wanted because I live in Perth, but Warren and Peter were awesome; they really got what we were trying to do,” she explains. 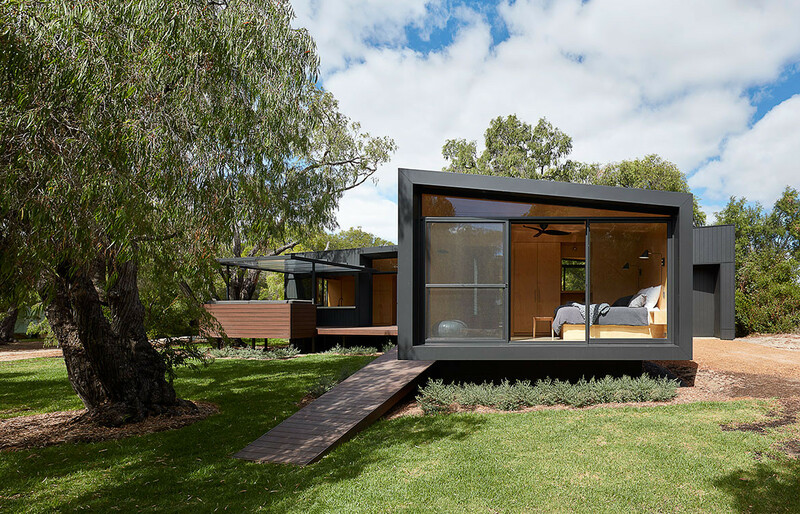 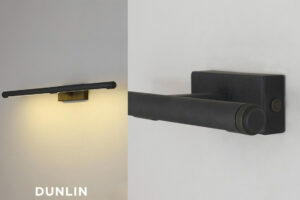 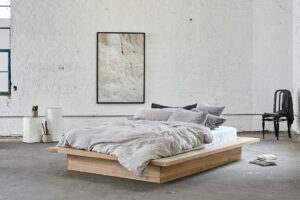 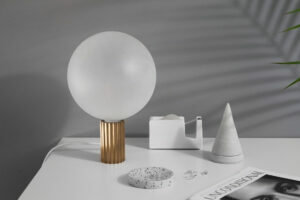 Meaghan aimed to keep the interior fitout local too, and worked with Dunsborough-based artisans including furniture designer Nathan Day, who custom designed and made the ebonized jarrah dining table; and the knitting studio of Nik Sime, who supplied the oversized hand-knitted throw that adorns the main bedroom.